MATT Smith is wasting little time forging a reputation for himself amongst the R’s fans. The 27 year-old produced a brilliant all-round performance as QPR ran out 4-1 winners at Birmingham City on Saturday. Having opened the scoring at St Andrews with his first goal for the club following his January move from Fulham, Smith ran himself into the ground for the cause before receiving a standing ovation when he was subbed with ten minutes remaining. 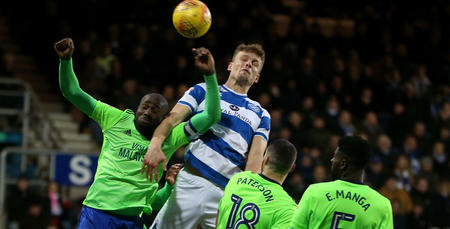 “It was a very good team performance,” the forward told www.qpr.co.uk. “We were due three points. To put four goals away, along with the manner of the win, was very pleasing. “We had to dig deep at times – we knew that there would be times when Birmingham came at us. Smith headed home the opener on 18 minutes from fellow-new-boy Luke Freeman’s corner, before strike-partner Conor Washington bagged his third goal in five games after the break. 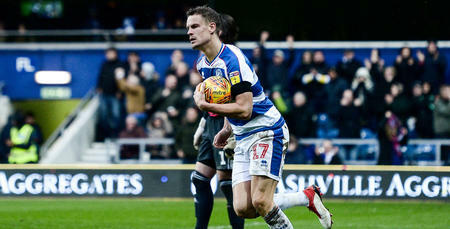 “You want to be scoring goals, and both Idrissa Sylla and Yeni Ngbakoto came from the bench to score as well, so that was pretty pleasing – for us and the QPR fans,” Smith said. 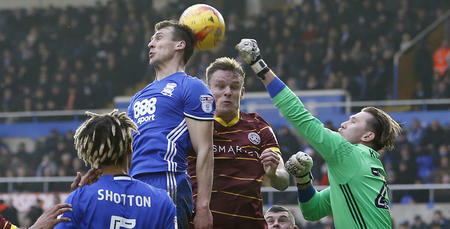 The R’s demonstrated a ruthless streak in front of goal at Birmingham, something Smith says they need to do more as they look to push up the table. “We got a good away point at Newcastle, and we lost at Blackburn when we merited all three,” he reflected. “Against Huddersfield we got beat but put in another really good performance. But that’s the nature of the Championship – I’ve been around it for long enough to know that you’ve got to put your chances away when you get them. “Certainly, getting that first goal is key and, if we’d have done that against Huddersfield, it might have been different. So the points were coming. 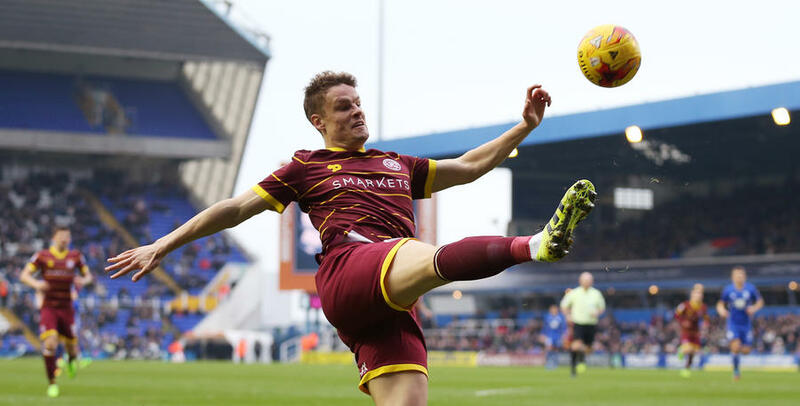 Smith’s combative approach as he leads from the front has already made him popular with the R’s supporters, and he says that’s a side to the game he enjoys. “I always relish a physical battle,” he said. “As a player, it’s important that you recognise what your strengths and weaknesses are. I recognise that I’m not going to run away from a defender, so I know that I’m going to have to outmuscle him, playing sensibly and playing to my strengths. “A lot of that is based around the players around me giving me a supply line – the likes of Luke Freeman, Pawel Wszolek, Kazenga LuaLua. There’s a lot of creativity in the team, which is what I need.